UK - A.C. Entertainment Technologies (AC-ET) Ltd. are excited to be showcasing the latest product highlights from their extensive brand portfolio at the inaugural PLASA Focus Glasgow tradeshow - stand D19, the SECC, 2nd & 3rd of December. 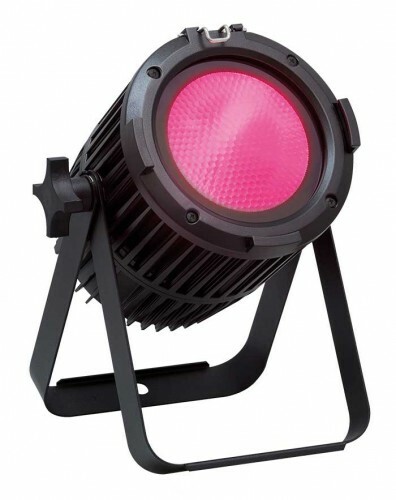 Recently launched to great acclaim at the PLASA London international tradeshow, and selected as a Finalist in the PLASA Members Choice Awards, the new Chroma-Q Color One 100 LED Par will be showcased. Featuring an innovative fully homogenised beam which virtually eliminates the colour separation and shadows synonymous with LED lighting, the Color One 100 delivers above Par performance from ONE source. Other Chroma-Q highlights include the award-winning Chroma-Q Inspire and Inspire Mini LED house lights range - powerful multi-purpose creative lighting tools that can transform the look and feel of performance spaces and commercial, retail or leisure environments. The stand will also feature recent models from the extensive new Prolights lighting product portfolio, which is available exclusively in the UK through AC-ET. Delivering exceptional quality and performance at an affordable price, the brand's exceptional value has proven to be a huge hit with rental companies, production venues and installers alike since it was launched at PLASA Focus earlier this year. The latest, award-winning Jands Vista lighting & media control solutions range and Jands Stage CL LED control console, will also be available for hands-on personal demonstrations. Product specialists will be on hand throughout the show to demonstrate and discuss the many solutions available from the company's portfolio of over 200 leading brands - many of which are available for immediate despatch from the one-stop supplier's multi-million pound UK stock inventory. Visit the AC-ET stand (D19) for a demonstration of the many technologies showcased, and to discuss your requirements.